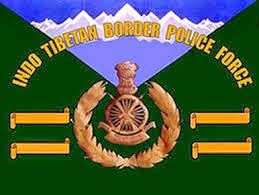 About Organization: The Indo-Tibetan Border Police (ITBP) is an Indian force conceived on October 24, 1962 for security along the India's border with the Tibet Autonomous Region of China, border covering 2115 kilometres. It is one of the Central Armed Police Forces. The first Director General of the ITBP was Late Sardar Balbir Singh. This was also his brain child along with his colleagues. How to Apply: : The application, either type written or neatly hand written in inklball pen, on one side only on full size plain paper with passport size photographs affixed on application should be sent alongwith application fee, and enclosures to the Inspector General (Northern) Ftr, HQrs. ITB Police Force, PO-Seemadwar Distt. Dehradun (Uttarakhand) Pin code-248146.